My one little word for 2019 is . . . . L O V E.
As it often happens, this word came to me late in the year and rested on my heart saying, "pick me." Love is at the core of our youth mutual theme for 2019 - "If ye love me keep my commandments" - and I thought it just might be overkill if I also chose Love as my personal focus for the year. I'm weird like that. In my opinion, a lot of "lovey" stuff is kind of cheesy. I'm not a big fan of cutesy love / heart quotes & crafts & home decor (said as I post a photo of a gold metal heart wreath -- hey, it's part of my Valentine's Day decor!). That's just not me and I didn't want to choose a word that seemed like fluff. And the cutesy stuff seems like fluff. This one little word practice is an important thing to me. But the word kept pulling me back. The scriptures reveal that the more we love God and His children, the happier we become. The love Jesus spoke about, however, isn’t a gift-card, throwaway, move-on-to-other-things love. It isn’t a love that is spoken of and then forgotten. It is not a “let me know if there is anything I can do” sort of love. The love God speaks of is the kind that enters our hearts when we awake in the morning, stays with us throughout the day, and swells in our hearts as we give voice to our prayers of gratitude at evening’s end. This is the inexpressible love Heavenly Father has for us. It is this endless compassion that allows us to more clearly see others for who they are. Through the lens of pure love, we see immortal beings of infinite potential and worth and beloved sons and daughters of Almighty God. Once we see through that lens, we cannot discount, disregard, or discriminate against anyone. In my journey to discover my 2019 word, there were two (er, 3) key messages that helped me see & understand that this word . . . LOVE . . . is what I needed for myself this year. In December I listened to the First Presidency Christmas Devotional and Sharon Eubank is always a speaker that I look forward to. She shared a story of learning the song "Silent Night" as a 6 year old in Primary. "Instead of singing 'Son of God, love’s pure light,' as in Jesus is the expression of light that flows from pure love, I understood it to say that the Son of God loves pure light—He adores anything made from pure light." My heart swelled at this. I had just spent 2018 focusing on the word LIGHT and I loved this thought of connecting love and light together. To love and seek out things that are full of light, because that is what the Son of God, Jesus Christ, does. The last speaker, President Russel M. Nelson, then shared "Four Gifts That Jesus Christ Offers to You" and wouldn't you know it, the first gift is . . . . love. First, He gave you and me an unlimited capacity to love. That includes the capacity to love the unlovable and those who not only do not love you but presently persecute and despitefully use you. With the Savior’s help, we can learn to love as He loved. It may require a change of heart—most certainly a softening of our hearts—as we are tutored by the Savior how to really take care of each other. My dear brothers and sisters, we can truly minister in the Lord’s way as we accept His gift of love. Ask for the Lord’s help to love those He needs you to love, including those for whom it is not always easy to feel affection. You may even want to ask God for His angels to walk with you where you presently do not want to tread. I have read this quote over and over and each time I am deeply touched by his words while feeling the pricks in my heart that this is something I could improve on. I was grateful for his prophetic counsel & encouragement and the fact that he even suggested a way to make this happen in my life -- "ask God for His angels to walk with you". I have a pretty amazing angel in my life who was full of love. I try to think about and draw upon my mom's example of love each day. Still, I sat on the word over the Christmas season and into January thinking about why love? One day I listened to one of my favorite podcasts, The LifeBeats Project, Episode #128, and she shared this quote that hit right at home. "I have learned that the point of life's walk is not where or how far I move my feet, but how I moved in my heart. If I walk far but am angry towards others as I journey, I walk nowhere. If I conquer mountains but hold grudges as I climb, I conquer nothing. Happiness in life's walking depends upon how we feel about others in our hearts. We travel only as far and as high as our hearts will take us. The success of my journey depended upon whether my heart walked forwards or backwards." When I was a young mom with a toddler and a baby in my house, all of my time & energy was spent on keeping these little people fed, bathed, changed, entertained, and happy. Some came with a happy disposition, some did not. Through many, many tears & tantrums we worked through habits, routines, and rules in our home until there was more happy than sad. A big part of creating happiness and harmony in our home in those early years, revolved around teaching our kids one basic principle – to obey. My mother-in-law gave us a little children’s book with a sing-songy phrase that was often repeated in our home: “If I obey, I’ll be happy all day.” Through this phrase, I wanted to emphasize to my kids that (in large part) they were in control of their own happiness. You want to get a cookie from the nice bakery lady at Safeway? Then you need to be calm & not wrestle with me when I put you in the shopping cart. You want to play at the park with your friends? Then you need to stay on the playground mat area and not run off to the creek. When they obeyed, sure enough . . . it was a great day. And they were happy! Even mom was happy! Goldfish for everyone! And when they didn’t obey, well, they became very familiar with the drywall texture patterns in the corner of the living room. Obedience is a principle of the gospel that is basic & simple enough to teach a 2 year old. And yet it is a principle we continue to learn & re-learn even when we’re 42. Obedience is a principle that we learn and build upon throughout our lives, I believe, because as we do the work of learning through experience, as we are taught by the spirit, as our relationship with Heavenly Father develops . . . . our motives evolve and slowly move more & more in alignment with what the Lord would have of us. I want you to imagine a horizontal line. On one side is fear and the other side is love. These represent our motivations for obedience. In our house we call this line the obedience continuum. Now, fear is not our first choice when it comes to an appropriate motivation for obedience. But you know what, the Lord will take it over disobedience. It’s not ideal, but it is a first step. We are works in progress, trying to move closer to love on that line. Somewhere between fear and love on the obedience continuum is . . . . reward. Obeying for a reward or a blessing. Believe it or not, when Conner was a little boy he had a very hard time sitting still. At school. He visited the timeout chair a lot in preschool and in kindergarten his teacher let him stand at his desk because he just couldn’t sit in the chair. That inability to sit still also carried over into Primary. On his first Sunday as a sunbeam in Primary, he bolted out of his tiny plastic chair and rushed the podium to grab the microphone. When the Primary leaders wouldn't let him talk into the microphone he got all out of sorts and had to be brought to me in Relief Society. So, to set up some patterns that would ensure future success in Primary, every week when we picked him up from his Sunbeams class we asked his teacher (Venetia Fields - love her) how he behaved. And we told her that we wanted her to be HONEST. We also had a family tradition at this time – every Sunday we would have German pancakes for dinner. On days that he did not behave in Sunbeams, he did not get to have German pancakes. Just a boring PB & Jelly sandwich. Within a few months he had completely turned things around, so that we didn’t have to ask his teacher about his behavior anymore. The reward of German pancakes made him want to be obedient in primary class. As we laughed about this story at home this week, I learned just how effective this reward tactic was. Memories of those Sundays with no german pancakes are still fresh in Conner's mind, as he grimaced over his remembrance & dislike of PB&J. Again, obeying merely for reward is not ideal, but is another step. The initial motivation to obey may be to make your parents happy, to get the gold star sticker, or the shiny YW medallion, … or to look good at church. But the hope, is that when we choose to obey (whatever the motive), we learn principles of self-mastery, respect, sacrifice, diligence, humility, or a host of other attributes that can then open the doors for the spirit to reside in our hearts and teach us greater things. The way that the Lord wishes for us to obey Him . . . is out of LOVE. Obedience from a place of love will change us. When the Lord asks things of us, however difficult it may seem, we can accept them because our love for Him enables us to have the confidence that he will make this hard thing possible. And when we obey out of love, we also have the understanding that He gives us commandments out of love. So what are some of the blessings that can come from obedience? I want to touch on just two that we find throughout the Book of Mormon. Over and over in the Book of Mormon we read the promise, if you keep my commandments, you will prosper in the land. That prosperity was not in a monetary sense (although, sometimes that was a fortunate secondary blessing that the Nephites enjoyed when they kept the commandments). Prosperity meant peace, a lack of war and conflict, lands and families were safe, the influence of Satan was diminished. The happy state that he speaks of will come when we obey out of love. These prophets teach us that if we are to obtain true happiness, or in other words, to partake of the precious fruit described by Lehi & Nephi, we must obey the word of God, or His commandments, which Nephi described as the iron rod. True happiness comes from the peace and joy we experience when we do that which we have been commanded to do. Just this past week, Conner began the mission application process. A few months ago a young women left on a mission for Finland. Another young man has been serving in Indiana and will complete his mission the end of the month and return home. As a young teenager I wanted to experience the happiness these returned missionaries were describing. Now, I thought I knew what it meant to be happy. I had many friends, I loved playing football and baseball, and life seemed pretty good. I thought a mission would just be a continuation of these happy experiences. Some years later I found myself in Hildesheim, Germany, as a brand-new missionary serving in the North German Mission. I had come into the mission field believing that missionary life would be a happy continuation of my teenage years. I was quite mistaken. I found missionary work to be difficult and exhausting. I was very homesick. My German skills were grossly inadequate. Small children and even dogs seemed to understand more German than I could. On top of all this, no one seemed to want to listen to our message. I began to wonder what in the world those returned elders from the St. George Fourth Ward in Utah had been talking about. This was hard, and I definitely was not happy. But like many young missionaries who had gone before me, a gradual transformation began to take place. I learned to study and pray in a way I had never known. I learned to be obedient to mission rules. I learned the value of hard work and consistent effort. Only then did I begin to understand what those returned missionaries had meant. I really was happy—the happiest I had ever been. It wasn’t the happiness I had experienced with friends on the ball field; it was the inner peace and joy that come from obeying the word of God and feeling His love. I love that. That he found a deeper, more meaningful, and all-encompassing happiness because He was obeying God. He felt God’s love and approval because he was doing what God had asked of him. Happiness comes from living the gospel. This week I'm soaking up the joys that come from a walk in my neighborhood. The temperature is just about perfect right now. Everything is green and growing. The air feels wonderful. But one of my favorite things has to be all the people that I pass along the way. You see, in Vegas I feel like people tend to keep to themselves in their homes. You don't see a lot of people working outside in their yards (everyone has a yard maintenance guy for that) or washing cars in their driveways. We run our errands, drive the carpool route, pull into our garages, close the door, and go inside. But, I feel fortunate to live in a neighborhood where we have some amazing and very well-kept walking paths and trails. They get used a lot by walkers, runners, moms pushing strollers, and people out walking their dogs. I love taking walks on these trails because everyone is so friendly. I can count on getting a "hello", "good morning", or wave from about 90% of the people that I encounter. Now, I do initiate most of those greetings . . . but at least everyone makes an effort to make eye contact & respond! I was walking today and the song "Who are the people in your neighborhood" kept running through my head. Thank you, Mr. Rogers! the elderly gentleman who stopped me to give a warning about water on the path ahead. He wanted to make sure I was careful and didn't slip. the vibrant older woman wearing a tennis visor and sunglasses, pushing a puppy stroller, with a black & white puppy running circles around her ankles. I stopped to comment on how adorable her puppy was (a Shih Tzu / Poodle mix). This sweet ball of fur (and energy) gave me loves while she told me how exhausting the puppy stage has been and I could tell the sweet thing was giving her a run for her money! It was her first puppy -- her previous dogs were rescue dogs that were a bit older. and I can't forget to mention the little robin that made an appearance on my walk -- those birds are a much more welcome sight over the pigeons that try to take over the area. Yes, I am grateful for this green & friendly neighborhood that we discovered in the middle of the desert. A brisk walk on a beautiful day like this does all kinds of good things for the soul. Now, crippling self-doubt is not something I personally experience. And I don't mean for that to sound cocky! As you listen you'll hear Alison's husband talk about the fact that self-doubt is not an issue for him either. I feel smidgeons of it at times -- but it doesn't rock me. I love looking to others who are doing awesome things for inspiration -- that motivates me and I don't get stuck in the comparison trap. You're doing awesome at your thing, I'm doing awesome at my thing - yay for everyone! If you have made doubting yourself a habit . . . why? how is it serving you? -We get to be indecisive without calling it fear. -Try to be excited for other people! Adopt an abundance mentality. -Know that you are enough. You hold value outside of your achievements. -You have a lifetime of experiences that are building up to what you will be & what you want to do. Don't discount any of them. -Always remember the people that you are serving. When you do, it makes it less about YOU. This morning I also spent some time in the temple. I love the quiet time I get there to ponder & pray and check in with Heavenly Father about things I need & want direction on. While I was hoping to get a new idea, a new action plan, or new direction to take . . . instead, the inspiration I received was, "keep doing what you are doing"
At first I thought, well, that's not helpful -- I need something new! And then I quickly realized, no, this is incredibly helpful. To be told, "I see your efforts, you're on the right track, keep doing what you are doing . . . it will lead to good things with time." That's really one of the best assurances I could have received. My thoughtful sister-in-law shared this quote with me on Instagram and think it resonates wonderfully with this topic of self-doubt, seeking inspiration, and putting forth our best efforts. You can accomplish anything you wish to accomplish. And oh, how very, very great is the need for you in a world of crumbling values where the adversary seems so very much to be in control. I didn't do a whole lot of blogging in 2017 (I'm planning to change that in 2018!) so I thought I would do a quick monthly recap of our year. One photo highlight and a short list of what kept us busy. Scott whisked me away to celebrate our 18th anniversary at the Wynn! So fancy! We had several couples over for a fiesta party complete with a giant pinata! What a fun night! It was bittersweet though, because right before the party we received some disappointing news that changed the course of the year for us. We kept our smiles on, enjoyed the party, and dealt with the pieces later that night. The kids participated in the Junior Piano Festival at UNLV and all three earned a Superior Rating! A bright spot in our year! We took the whole family on a Church History trip across New York, Ohio, Illinois, and Missouri. What an adventure and so many amazing things to see! I spent a TON of time researching and planning our itinerary. I really should blog about this. Be patient with me -- I have 1500 photos to sort through! Also . . . . Conner went to Hawaii with his choir // Conner received his drivers license! Doesn't she look beautiful? I took another trip to my parents house early in the month and helped mom with a few projects she wanted done around the house. During this visit, though, she had several episodes that were quite frightening. The whole month was full of scary stuff -- it was a very unsettling, emotional time. The family reunion miracle. Truly. In July the reverse Seasonal Affective Disorder kicks in hard for me. After 35 consecutive days over 100 degrees, being stuck inside all day and just feeling trapped and grumpy . . . . one day I decided that we needed to go on an adventure. So we made our way to Lake Havasu and then returned home via Route 66 through the tiny town of Oatman, Arizona where the wild burros take over main street. I should really post about that one too. So random and it was a great family day! The beginning of another school year! No more elementary school which is crazy! 6th, 9th, and 11th graders here. Also . 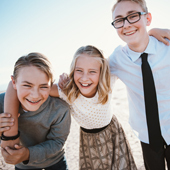 . . Conner spoke in Stake Conference // Anna joined a new soccer team, playing up 2 levels // I attended Alyna's wedding in St. George - playing the role of supportive friend to the mother of the bride! Jenn! // introduced our family theme // two trips to my parents house for a total of 10 days there. I traveled to California on September 15th when we received concerning news about mom. I stayed through the rest of the month. She passed away on September 28th. It was an incredibly difficult month. We hung these banners on the back of the house in the days after her passing. She loved pennant banners. Also . . . Anna and I had a belated birthday girls day // Conner sang in the district Honors Choir // Anna was Student of the Month // we got to call AAA on our van twice // took a trip to the cabin. We spent Thanksgiving in Idaho. Celebrated Conner's 17th birthday there. And took the whole family to the temple to do baptisms with their grandparents. Crazy that they are all old enough to go! And getting so tall -- on this day we established that we can no longer take pics with the kids standing in front of us. It’s a line up from here on out! Yes, this was a BIG highlight of the month. Everyone loved The Last Jedi. This is us on Christmas morning -- we look pretty good for just rolling out of bed! There is no way to sugarcoat it -- 2017 was the most trying year for our family thus far. Bringing with it the most learning & growth. We faced multiple trials at once. At times the collusion of these things did not make sense, but we learned to trust in the Lord. And we learned that His timing was perfect & necessary. We can testify that this is true. We have felt ourselves strengthened in moments when we should have crumbled. We know that this strength, these unexpected healing gifts, come to us only through and because of our Savior, Jesus Christ. More than ever, this Christmas season reminded us that He is the only true source of hope & light in this life. We can rely on Him with confidence. As struggles come upon us (and they will) we can turn to the Lord and be strengthened to bear our burdens. 2018 is going to bring with it some much needed blessings for which we are SO grateful. There will be some big changes which I'm trying to prepare myself for. As well as a continuation of grieving and healing. While difficult, I hope that crossing some of these big milestones will also aid in that healing -- my parents' 40th anniversary, the first Mother's Day without a mom (this one already hurts), her 60th birthday, and the one year mark. I keep thinking of this quote and holding onto this thought, that somehow, somewhere there will be compensation for our great loss. I am hopeful for this next year. I feel like I am armed with a new kind of strength and faith and resilience. My dad has commented several times that he sees a change in me. Oh, I can feel it. The Lord has been working on me. Let's see what He has planned. I know a lot of people have also struggled with this year, and if you're hurting I hope that 2018 brings with it some blessings and hope. We're all in this together! Every fall and spring we spend a weekend watching General Conference. It is a big deal in our house as we drop everything for 2 days and listen to the talks & counsel from our church leaders. This fall, when General Conference began it had been just 2 days since mom's passing. In honesty, I was not in the mood to sit down for 4 hours and watch General Conference. My mind was all over the place, we were planning the funeral, and I had a talk that needed to be written. Photo & text created by my Uncle Martel (mom's brother). He texted this to us on that Saturday. Sunday came and while it was still a busy day, I got things in order so I could spend an hour to sit down and watch the first half of the morning session before needing to leave. I had an appointment to go dress mom. The second speaker that morning was Elder Donald L. Hallstrom. He told the story of a man who was hiking to the summit of Mount Shasta and suffered a free fall and tumble that left him severely injured. Through miracles they were able to get him off the mountain and despite the incredible injuries to his spinal cord he was given a miraculous prognosis - he would live & return to full function. 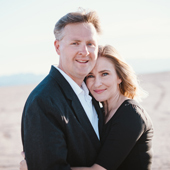 Elder Hallstrom met with this man and his wife after the accident and heard first-hand the entire account. In pondering the experience of the Fales family, I have thought much about the circumstances of so many others. What about the innumerable faith-filled, priesthood-blessing-receiving, unendingly-prayed-for, covenant-keeping, full-of-hope Latter-day Saints whose miracle never comes? At least in the way they understand a miracle. At least in the way that others appear to receive miracles. What about those who suffer from profound afflictions—physically, mentally, emotionally—for years or for decades or for their entire mortal life? What about those who die so very young? I remember when his talk shifted in this direction . . . . I felt like he was speaking directly to us. We prayed. We fasted. There were many priesthood blessings. We were full of faith and hope. We kept our covenants. And we did not receive the exact miracle we hoped for. Mom's healing. Often we describe a miracle as being healed without a full explanation by medical science or as avoiding catastrophic danger by heeding a clear prompting. However, defining a miracle as “a beneficial event brought about through divine power that mortals do not understand” gives an expanded perspective into matters more eternal in nature. This definition also allows us to contemplate the vital role of faith in the receipt of a miracle. We were able to recognize that miracles do come in different forms. And my dad beautifully expressed that in a letter that was read at mom's funeral. You can read it here. Today I testify of miracles. Being a child of God is a miracle. Receiving a body in His image and likeness is a miracle. The gift of a Savior is a miracle.The Atonement of Jesus Christ is a miracle. The potential for eternal life is a miracle. While it is good to pray for and work for physical protection and healing during our mortal existence, our supreme focus should be on the spiritual miracles that are available to all of God’s children. No matter our ethnicity, no matter our nationality, no matter what we have done if we repent, no matter what may have been done to us—all of us have equal access to these miracles. We are living a miracle, and further miracles lie ahead. I sat in the tv room with my dad, Scott, and kids, and without a doubt we knew that this talk was for us. This was an incredible tender mercy, given at just the time that we needed to hear it. In fact, as soon as the talk ended my dad received a text from mom's good friend Ellen Rowan - "Elder Hallstrom wrote this talk just for you!" And the tender mercies continued. . . .
At mom's funeral, one of the speakers was a family friend and now General Authority, Elder Scott Dorius. In his remarks, he shared that he had actually accompanied Elder Hallstrom the day he visited the Fales family and witnessed their faith & testimony in this miracle. Wow! What an amazing coincidence! He was able to use this experience and Elder Hallstrom's remarks to connect it all back to us. I highly recommend Elder Bednar's talk. "That We Might 'Not . . . Shrink'" It provides so much perspective and understanding while enduring a hard trial, and to be honest - he challenges your faith. It's a tough one, but so important at the same time. Since that first day in October, I've been listening to 1 or 2 general conference talks each Sunday morning as I get ready for church so that I can catch up on what I missed. Today, this was the talk that came up in my rotation and I was reminded of how much his words meant to us. So I wanted to share! You can read or watch the entire talk right here: Has the Day of Miracles Ceased? **About the photo above . . . it was taken by my Uncle Martel. He had a routine of texting pictures to my mom everyday. Typically, they were pictures of what he ate for lunch (ha!) but sometimes he would send photos of things that he saw while on his UPS route or hiking or biking. He said, "This is a lake on my route called Yuba. Once in a while I take a picture and send it to your mom to show her the lake. The day that I took this picture was the day your mother passed away." I remember getting this text and being so touched that he took the time to add the lyrics to Be Still, My Soul -- we had just chosen that song to sing at my mom's funeral. Another tender mercy. And, I am so grateful that he took the time each day to connect with her in such a simple way -- I know his continual presence was a blessing in her life. During mom's last week, music was ever present. In the beginning, her room was so quiet so we began playing music through the Amazon Alexa device in their bedroom. We played Josh Groban. A favorite of hers. And then we played a lot of Paul Cardall. His piano music is just amazing and soothing. While Paul played on repeat, two of his pieces stood out to me. Each time Abide with Me came on I felt comforted - like Heavenly Father was aware of what we experiencing in those hard & holy moments. And each time Life and Death played, my spirit stirred with thoughts & feelings of eternity. John 24:29-31 - Christ has been crucified and resurrected and meets some of his disciples on the road to Emmaus. They do not recognize him, but have enjoyed his company and conversation as he expounds the scriptures to them. Before he leaves they stop him. But they constrained him, saying, Abide with us: for it is toward evening, and the day is far spent, And he went in to tarry with them. The words of this scripture pierced me. Certain words connected directly to an experience I had a few weeks ago. And it was one of those moments that I knew it was the Lord's hand in my life. Leading me. Placing experiences in my path. Helping me connect the dots. Letting me know He is there. "What are God’s miracles that remind you that He is close, saying, “I am right here”? Think of those times, some daily, when the Lord has acted in your life—and then acted again. Treasure them as moments the Lord has shown confidence in you and in your choices. But allow Him to make more of you than you can make of yourself on your own. Treasure His involvement." Yes, He is right here. Again, I highly recommend following The Small Seed. "Your daily dose of faith, hope & inspiration. Reminders that God is real, and that following Him is still what life is all about." Here are the words that I shared at my mother's funeral earlier this month. She was diagnosed with Stage IV Breast Cancer in the fall of 2016. Although it was a terminal diagnosis we were filled with hope & faith and prayed mightily that her time could be prolonged. The doctors expressed that that was their primary goal in her treatment, and possible. Several months before mom passed I began to have a strong feeling & desire that I should speak at her funeral . . . whenever that might be. There were things I wanted to say that I hoped could convey the enormity of her strength, testimony, and courage through this trial AND her entire life. I knew it would not be easy. At all. But that desire carried me through. With much prayer and heavenly direction I wrote this message. The day of her funeral was so hard, as I described in another post. The moments leading up to when I would speak had me questioning whether or not I could actually do it. I felt like I was falling apart. Lots of deep breaths, support from Scott including the "I love you" message he wrote in the margin of my notes, and a father's blessing from my dad the previous day . . . and somehow I felt carried enough to stand above her casket, before an overflowing chapel, and read these words. Who can find a virtuous woman? For her price is far above rubies. The heart of her husband doth safely trust in her. She will do him good. . . . all the days of her life. She . . . worketh willing with her hands. She girdeth her loins with strength, and strengtheneth her arms..
She stretcheth out her hand to the poor; yea, she reacheth forth her hands to the needy. Strength and honour are her clothing;. She openeth her mouth with wisdom; and in her tongue is the law of kindness. She looketh well to the ways of her household, and eateth not the bread of idleness. Her children arise up, and call her blessed; her husband also, and he praiseth her. This is Teresa. My mother. Over the past week our family has received an outpouring of love. Through messages, texts, visits, cards – so many people have expressed their love, admiration of Teresa. You have shared what she taught you and how you have been touched by her light. Light. That is a common word we hear when people describe her. I have spent a lot of time the last 2 weeks thinking about my mom’s life and I believe I have come up with 4 themes that run through her story, and define who she is. 4 – Making it her goal & purpose to help others feel happy. Teresa Anderson (back then it was spelled “son”) was born on June 2, 1958 in Mount Pleasant, Utah – a tiny town in central Utah. Her parents are Lewis Blain & Neva. Teresa was the 2nd child of 8 – the oldest girl and without thought took on the role of being an example , support to her younger siblings throughout her life. I think it’s safe to say they all looked up to her. In her childhood, they lived a very simple life. Her father worked on a farm and dairy. Her mother was a homemaker. They tended gardens and canned & ate from the food they produced, her mother made all her clothes, and the first time she ate in a restaurant was at age 16 while on a date. She had a horse named “Buck” and she & her sister would get on their horses and ride into the hills and be gone all day. (When she tells this story she can’t believe how dangerous that was). One summer she built a treehouse with her sister. She believes that is when her desire to create began. She would also put together pretend parties. Just a glimpse of what was to come. Some little known facts about Teresa – in high school she was a cheerleader. She also did the pole vault on the track team. She had jobs as a lifeguard, in a sewing factory, and at a Dairy Freeze type restaurant. 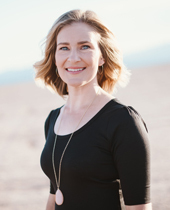 Upon graduating from high school she attended Snow College for 1 year – she loved her experience there taking classes like design, and architecture. But when her mother was on bed rest with a pregnancy she was needed at home -- so she left college to support her parents. She was always a faithful daughter. The greatest challenge of her childhood was the fact that they were always moving. She lived in 19 different homes in 19 years. She lived in many small towns across central Utah and even had a few stints in California – Gustine and Merced. As you can imagine, making friends was very difficult. The moves were often very sudden. She recalls coming home from school one day to discover that the house was all packed up. Her parents said, “If you want to say goodbye to your friends do it now, because we are leaving tonight.” She said she cried all the way to California. That tumultuous move to California wasn’t all bad, because after moving to Merced she started dating Danny. On her instagram account she likes to chronicle their dating adventure with the hashtag - #datingdan. Well that all began because she told her mom she would like to go on a date with Dan. And her mom told told Dan’s mom. And she told Dan and he got up the courage to ask her out (already having a big crush on her since 7th grade) and the rest is history. Their 39 year marriage is one to admire. Through their example they have taught us the importance of being loyal, loving, and serving your spouse. They both exemplified this as they helped each other through cancer treatments – first Dan (6 years ago), and then Teresa. They have undeniable admiration & affection for each other. They are patient and strive to help one another fulfill their goals, dreams, and desires. Teresa loves her family fiercely. Her marriage and her kids and now her 13 grandkids have always been of utmost importance to her. broken bones, a near drowning, a tractor accident, a motorcycle accident, flooded basements, living in what my parents called “the rat house”, great financial strain, caring for her mother-in-law, a house fire, and 5 years as a bishop’s wife (during which time one child visited the bathroom & walked into sacrament meeting naked and another child [but possibly the same one] set off the fire alarm in the building). As kids we knew that mom worried herself sick over us, and as you can see she had every reason to! She taught us how to work – There were always Saturday morning chores. When we were assigned to clean the backyard she said, “make it look like Disneyland!” in a cheerful voice. She taught us to have faith. When I lost my pink prescription glasses she taught me to pray to find them. When Mason struggled with trials in his life she encouraged him to look at the flower that grows between the rocks and notice how much stronger & beautiful it can be because of the struggle. She also initiated a lot of fun. She pulled out her giant video camera (the kind that sits on your shoulder) and we made a lot of music videos. She loved adventures and would often pack us up in the car to go to the beach for the day. A solo, 12 hour long road trip to Utah with 5 children was no big deal. She wanted us to love each other. She was always concerned about us siblings looking out for one another. She knew the importance of eternal families and wanted us to build those relationships now. When I was little and she would drop me off at school, she would force me to give Sam a hug goodbye. (I must have been going through a “he’s touching me” phase). The last clear phrase that Teresa said was 6 days before her passing. Most of us were in her bedroom visiting as we did during those last days. Kent was debating whether to call or text Mason to share the news that he and his wife are expecting #4. He had always missed the moment to tell him in person. Kent was hemming and hawing because he does not like to make phone calls. In the middle of us egging him, my mom leaned forward and clearly said, “He’s your brother.” And that was that. Kent picked up the phone and called his brother. As wonderful a mother as she is, I really think Teresa hit her stride – her golden moment – when she became a grandmother. Or, as her 13 grandkids call her – “Grammer”. My dad says that she spent 60% of her time thinking about her grandkids . . . things to do for them, ways to spent time with them, preparing packages to send in the mail, how she could encourage their talents or teach them new things, reliving the last phone call or visit and eagerly anticipating the next. She was always creating wonderful, memorable moments for these kids. One year she put on a cousin camp (again, because she wants to foster family relationships). Another time Carlee got to have some one on one time during Grammer’s Summer Sewing Class. She made holidays special with Easter Egg Hunts and special table settings & goodies for the kids at Thanksgiving. And for those of us who lived far away, we could always look forward to an Andersen Nut Co box showing up on the doorstep, filled to the brim with holiday prizes, candy, crafts, decorations, and maybe a few crisp dollar bills. Aside from the beauty she brings to her home, she also brings a calm, inviting spirit. Over and over again visitors comment on how good they feel in her home and they don’t want to leave. She was anxious to learn and to improve herself. From the time she was a little girl she looked for examples to learn from. She was influenced by an elderly woman who drove her to Primary when her mom did not have a drivers’ license – she treated them so warmly. As a young mother, she looked to other women in her ward for examples to follow. When she received callings to serve in Relief Society leadership she would often ask herself, what would the General Relief Society president do? How would she dress for this activity? She has a creative soul. Creativity oozed from every inch of her body. While she executed & shared that creativity in so many ways, I know there was so much more bottled up inside of her there just wasn’t space enough (or time) to get it out. Even so, she found any and every excuse to throw a party or to make any ordinary event (like YW presidency meetings) extraordinary by turning it into a party. She finds her inspiration in everything – the seasons, a metal lunch box, a plaid pattern, a hat, daffodils, pie, a canoe, even the pigs that ruined their yard in Catheys Valley – each of these things became jumping off points for a celebration. She is always planning something. She loved her garden. Planting, nurturing, and reaping the benefits of a fruit, vegetable, or flower garden were pure joy to her. The only time you might really see her upset was when her garden or home is being attacked by gophers, birds, pigs, woodpeckers, or deer. I know that the display of flowers today overwhelms her with gratitude. She used her creativity to magnify her church callings, - she served in all of the stake & ward auxiliaries, as camp director, Primary Music Leader (a favorite), Temple Worker, and bishop’s wife. She kept a blog for almost 12 years and used that to share her creative projects, her grandkids, bits of wisdom & perspective, and her testimony. If you go to her blog & type “testimony” into the search bar, 6 pages of results will come up. Her light is apparent as she writes about the gospel, her grandkids, or a cute table setting. I wish it were possible to quantify the extent of her reach, but I know it is vast. And she always uses her influence to share goodness. The reason behind these celebrations and her efforts to infuse fun into ordinary things was that she just wanted to make people happy. That has been a primary focus & concern her entire life – to make people happy. It started as a little girl – she often worried herself sick about her parent’s happiness so she worked extra hard to be cheerful & obedient. She has taken her disappointments, worries, and struggles and turned it into compassion for others. When she underwent radiation therapy her creative & compassionate sides kicked in. The exam rooms felt drab, very yellow beige, depressing – Teresa did not approve. So she began creating mini banners and secretly hung them inside the exam rooms everyday. She named herself, “The Banner Bandit.” I was with her at a radiation appointment on Halloween – That day her neck was broken but we didn’t know it yet. She was just in excruciating pain. Still, she made sure we brought along a trio of handmade felt ghosts with a chocolate bar tucked inside and gave those to all of her radiation techs. Teresa is a hard worker. Her daughter in law Becca shared: "One of my favorite things about your mom was that she moved mountains. Nothing was too hard or too big for her to accomplish. When Kent and I were first married we stayed with them for a few months in between jobs/school semesters and I would come stumbling out of bed at 8:30 and she'd already cleaned the house, organized her closets, picked fresh flowers from her garden, moved furniture around, and was working on picking a paint color to change the bathroom up a bit. I was in awe of her ability to get up and get to work, no matter the day or situation." This is how she functioned as a stay at home mother. She is strong and capable and efficient. She has lived through 39 nut seasons and during those long fall months when dad was not around much, she managed the family solo and took on that extra weight, allowing Danny to focus on work. I bet he never had to worry about home. She just did it. The greatest example of her unrelenting grit came just two weeks ago. 9 days before she passed away we visited her oncologist and received the devastating news that there was nothing more they could do for her. The cancer had taken over her liver, treatments were no longer controlling it, and it would begin failing. When the Nurse Practitioner asked her if she understood all that had been shared, Teresa cleared her throat and said, “I want to work harder.” In a tender & loving way my dad assured her that she has worked as hard as humanly possible. She has fulfilled her part. Teresa teaches & lifts & nurtures so many with her love and warmth. Teresa always teaches by example, gentle encouragement, but never makes it about her. From her blog (3/25/17): "Every woman can bless the lives of others in countless ways when she puts into practice the principles of love, caring, and kindness. Little things matter." She finds the happy in everyday. Even amid trial. I think from the outside Teresa had a perfect life. She shared a lot of pretty pictures, she celebrated, she loved, and exuded joy. But she had her fair share of trial, disappointment, struggle, worry, and chronic pain (most people don’t know that suffered from arthritis for years). She simply chose to see the good in each day -- She looks for light and she shares it. President Russell M. Nelson said, “The joy we feel has little to do with the circumstances of our lives and everything to do with the focus of our lives.” She lived by this statement. It can be easy to think that she earned the qualities of patience, endurance, humility, eternal perspective, and faith because of her trials. Elder Stapley said in October 1974 – “It is not in the great moments of test and trial that character is built. That is only when it is displayed. The habits that direct our lives and form our character are fashioned in the often uneventful, commonplace routine of life.” She gathered these traits through daily practice and when the trial of her life came . . . she simply shined. A pure example of selflessness, Teresa does not see herself. She went about her life with Christlike eyes. My dad took over her blog one day to write the following story: “Empathy during agony is a portion of divinity.” This is one of my all time favorite quotes from one of our church leaders. I share this because this quote reminds me of Teresa. Two days before she was diagnosed with cancer, Teresa and her sweet friend Sandi Pittson, assembled some care packages designed to cheer up the sick and discouraged. Then they set out and delivered them to several ladies. All the while, she was in dire pain in her back that we would later discover was a tumor. A couple of nights ago, after receiving more bad news about her having to receive additional radiation in her head, we knelt together in prayer. Teresa said the prayer and I kid you not, the majority of her prayer was asking Heavenly Father to bless a sister in our ward that was having surgery or others that might be having difficulties. I knelt next to her in amazement. I silently mouthed the quote "Empathy During Agony is a Portion of Divinty"
Priesthood blessing -- Last November, when Teresa awaited surgery to repair the 6 broken vertebrae in her neck (damage that was caused by cancerous tumors), my dad gave her a priesthood blessing. He blessed her that through and because of this trial, and the way mom has lived her life she is going to touch hundreds if not thousands of lives. People are going to think more deeply. People will re-prioritize their lives. And people will evaluate their relationship with God and the church. We saw that start to happen right away. She received a message from a blog follower who was considering coming back to church. Another friend said that she decided to take a step back from her busy life to think about what kind of woman she wanted to be and how to get there. Her example, no doubt, has touched every member of this family. Including her grandchildren. I’d like to invite my 12 year old daughter to come up and read a letter that she wrote to her Grammer. I should note that she is following her Grammer’s example – she mailed the letter with a care package that included a mason jar of happy thoughts, and some other creative crafty items. She put it together completely on her own and without my knowledge. No words can describe how much I love you and how much I look up to you. Your example is the best in the world. You do so many things for others from sending care packages to giving gifts to your doctors. I have sat down so many times spending hours thinking about how happy you have made me and so many others. From thinking, you inspire me to serve others. The most mind-boggling thing about you is the many hard trials that would bring so many other people down, but you continue to shine like the stars making people so grateful for you. In school we have a project called the Living Museum where you research on someone who made a difference. If I could, I would have chosen you. You have impacted so many lives, more than you will ever know. They all changed something about themselves to become a better person by your example. My life has suddenly changed to service from you, now I have been giving nice notes to others and try to make them happy. I hope you enjoy my care package to you and that only shows a handful of my love to you and how happy you have made me and how much you have helped me. When I sent you an email asking what to do about a trial a friend was going through you helped me solve the problem, and now she is one of my bestest friends. She is happy now and has begun to be a smiling joy again because of you. I love you so so much and you mean so much to me. Thank you, for loving me. I go back to the blessing mentioned earlier . . . Because of Teresa’s trial and the way she has lived her life for 59 years . . . .
Have you thought more deeply? Have you worked to come closer to God? If you have done these things, then the purpose of Teresa’s suffering was fulfilled. Because of her selfless nature I know she was willing to go through all of this if it meant that we all could have a clearer perspective and changed hearts. In the first few days of her diagnosis I sat at her dining table when she said that she was willing to endure this is if it meant her family could be closer to God and turn their hearts to Him. She was willing to pay that price. I hate that she had to do that. But I am in complete awe of her selflessness, perfect love, and eternal understanding. Her love for us cannot be matched. She is the most Christlike person I know. She has lived a beautiful life, and filled it with family and love. -Find someone to serve this week. Make their day brighter. -Give a compliment. If you see something beautiful in someone, speak it. -Call your mom. Or grandma. She wants to hear from you. -Most of all -- Please remember Teresa as the beautiful, vibrant, full of energy woman she was – like the pictures in the hallway -- spreading joy through happy day banners, warm smiles & hugs. If you haven’t already, take a look at them. That is our Teresa. That is our mom. It has only been a few days and we miss her presence in our family. But if she is following my dad’s instructions, she is closeby watching over us and we hope that she can visit us from time to time. We are counting on her heavenly help. I want to close my remarks with her words – and you can find these on the back of the program. More than ever I am realizing that although her mortal life is over, she will be an ever present constant in my life. In my heart, my thoughts, my decision-making, the way I learn and look at things, how I serve. Everything. Even though I have finished my blog posts chronicling her passing, funeral, and this talk . . . I don't plan to stop talking about her. She will pop up in everything I do. She just will. This morning I popped a peach & raspberry galette into the oven at my parents' home. While it was cooking a social worker from mom's home health team arrived. He sat down and asked her an array of questions to make sure her physical, mental, and emotional needs are being provided for. A one time assessment. Before beginning a series of yes or no questions, he asked if she would be comfortable answering the questions with her daughter (me) present. She was, so I stayed and listened. He asked her to base her answers off of how she has felt in the last week. Do you feel like you have someone you can talk to and confide your feelings to? Do you have feelings of helplessness? Do you feel that others have it better than you? Her answer . . . . No. Do you think that life is wonderful? Her answer . . . . Yes. I'm glad I was looking down, because my eyes welled up with tears. If you could see her, the pain/discomfort she experiences daily around the clock, her lack of mobility, her body literally bruised and broken, the lack of energy / physical ability that keeps her from enjoying her former hobbies/interests/delights . . . . and yet, through her discomfort, with a tiny smile she answers, "yes, life is wonderful." Just last night dad told me of their visits to the cancer center and the amount of suffering they witness in waiting rooms and halls. His emotions could not be constrained because they both observe and live that suffering at the same time. The doctor asks mom to share how she is doing. "Okay. I don't have it any worse than the people I see out there." My dad is flabbergasted. I'm confused. What does she see that we don't see? Doesn't she see herself? And the answer is no. She doesn't see herself. She looks outward with compassionate and Christlike eyes. Someone who knows of mom's situation (and went through the same thing with his own wife) recently shared with us, "Pain and suffering is inevitable. Misery is a choice. What a wonderful gift she is giving your family as she endures this suffering -- she is saving you from additional worry and misery." Always selfless. She will never let on to all that she battles inside. I am so thankful for her incredible example. How did I get so lucky to have this angel of a woman placed in my life since birth? I know that I cannot measure up to her. (I'll admit that I can get a little fiesty & just plain ticked about all of this). I only hope that I can observe & learn from her. And that is my (selfish) prayer and wish . . . . more time to learn. getting cozy with blankets. In August. On the last night of Girls Camp I laid all snug in my sleeping bag. I was so glad to be asleep -- the girls in the camp next to us had finally settled down after partying well until midnight. Thankfully, the deer which had kept me up the previous night decided to take the night off from wandering in our camp. But at 1:30am I suddenly awoke. And had to go to the bathroom. Shoot! I tried to will myself to go back to sleep but I just could not shake the urge and so I carefully unzipped my sleeping bag & the door of the tent so as not to awake the other leader in my tent. I stumbled outside to the carpet mat in front of our tent and attempted to put my shoes on in the dark. Everything was so dark and foggy to my sleepy mind. As I took a few steps toward the bathroom I looked up. Was this for real? With pine tree silhouettes framing the sky, the stars glimmered & sparkled. Thousands, millions, dotted the black sky in an amazing array. Hazy clouds of white - far off universes - were reminders of the immense magnitude & scope of the skies. That light continues on forever. And my brain hurts even trying to think about it. Yes! I love this thought so much. Sometimes - especially this past month - I feel weighed down by it all. My mom's cancer. Family trials that bring a lot of stress & worry & unknown. Things that are hurtful (and I rarely get my feelings hurt). Frustrations. And feeling dumped on. Oh, and don't forget the intense summer heat. Thanks, Vegas! A friend told me -- after I listed all the stuff going on -- that must mean something really great is on the horizon for you. I sure hope so! This weekend I am visiting my parents. I joke that I ran away to the hills! Ha! My parents and I were discussing mom's trial and all the hard, gut-wrenching, and downright crappy things she has had to go through . . . . but . . . We agreed that good has come out of it too. We each admitted that we have learned SO much. It has changed us. Yes, there is darkness. But there is always light. And there is good. So much good from our Heavenly Father. I know this with all my heart to be true. And sometimes it is the darkness, our trials, that allow us to see the good in brilliant ways. I want to be someone who always looks for the good. I know it is a choice. Because I know that when I'm having a pity party I am also making that choice! Here's to goodness and stars, security, happiness and healing, and an AC that can keep up all summer long! We just returned from our Andersen family reunion. We do this every 3 years. My parents have planned and executed the last 2 reunions and at the conclusion of our event in 2014 they asked me to plan the next one. After much planning & preparation we were able to spend a memorable 3 days near Zion National Park. This reunion has been in the works for the past year. It has been on my mind as I've made lists, mental notes, browsed everything reunion-related on Pinterest, and decided on a theme. The fall came and it was time to book a home for our group of 25 (12 adults, 13 grandchildren). In October 2016 our lives turned upside down. My sweet mom was diagnosed with Stage IV Breast Cancer. I'm realizing now that I haven't said a single thing about her cancer on this blog. Let's just say that it has been an emotional and intense 8 months around here. I do have much to say & share, but that will be another time when it feels right. The reunion was still sitting in the back of my mind. I could see the summer rental calendars filling up for the houses I was interested in. But mom had just received a cancer diagnosis. For a moment I hesitated . . . . with so much unknown should we really go ahead with this? It was my dad, with faith & certainty, who said "yes, we need to do this." To exercise our faith in her healing we needed to move forward with life as it was planned. And, more than anything, mom needed something to look forward to. We have since learned that this is key in supporting her overall health and positive mental outlook. Continually having something on the horizon to look forward to (each month) has helped her so much. In November we booked a home in southern Utah for June 18-22 and laid it out there. Heavenly Father, help this work for us. Since making our deposit on the reunion house, there have been a lot of ups and downs. Cancer is a roller coaster and I'll tell you those downs are something intense. The month of May was especially challenging for her health. Things were really hard. I think we were all holding our breath. Praying. Hoping. I felt helpless being so far away from mom during those really hard weeks, so I buried myself in reunion plans. Posting daily to our reunion Facebook Page. Printing massive welcome/info packets. Giving assignments. Creating video projects. Anything to keep myself busy, moving the reunion train forward, again in an attempt to exercise my faith that it will all work out. On June 2nd - my mom's 59th birthday - we got a miracle. The cancer in her brain & spinal cord were in remission! We're calling it her birthday miracle. Such an incredible relief and the timing of hearing that news will always be a special blessing & memory in my life. Now, she's not out of the woods. There is still cancer in her body that has to be dealt with. But we are thrilled with any and all progress. Adjusting to a new chemo this month has been hard on her. But they worked out the timing of her doses so that she would be off chemo for the family reunion week. My dad is so attentive and cares for her needs so well. He reached out to a friend and borrowed their RV for this trip so that she could travel in comfort. They showed up with a brand new walker on wheels to give her some mobility around the house. (The kids sure thought that was fun to play with). And a lightweight portable wheelchair made it possible for her to join us on two of the paved trails in Zion National Park. I started writing this post to express one thought . . . I'm just so grateful my parents, my mom were able to participate in this reunion. It really did all work out. On our last night, after the hoopla & excitement of the family talent show and devouring Utah scones for dessert, my dad shared some parting words. In his message, as patriarch of our family, he emphasized that family is all that matters. When you get rid of the fluff, the distractions, the things that lead to short-term joys & successes you will learn over and over again that family is really all that matters in this life. We need to treat each other well. We need to carry the Andersen family name and do good things with it. It reminded me of something that L. Tom Perry said in General Conference once: "Let me [bear my] witness (and my nine decades on this earth fully qualify me to say this) that the older I get, the more I realize that family is the center of life and is the key to eternal happiness." I'm glad that we have these reunions every few years to bring us together and help us strengthen family bonds. I think most people will agree that family reunions can be tricky sometimes - so many personalities in a small space can be a challenge! And I will admit that we are not perfect. No family is! No matter how pretty the pictures on Instagram look. BUT we treat each other well, we are patient with one another, and we pitch in and work. At these reunions we gather to make great memories, help our kids form relationships, and have some fun! Most importantly, though, this is about mom & dad. It gives them so much JOY to see us together, raising our families, and it gives them pride (although they would never say that) in their posterity. We come together to honor mom & dad, show appreciation for the family they have created, and do our job of practicing the kindness, generosity, and service-mindedness that they have always taught us. Love. Work. Serve. Faith. Family. Today I taught a lesson in Primary (the 3-11 year old children at church) and the topic was, "Dressing modestly shows respect for Heavenly Father and myself." That being said, I wanted to share my lesson plan on modesty. It was on a Primary-age level, shared the standards matter-of-factly, and it was fun! And I felt that it went well - the kids listened, they participated, and they took in the message. Walk to the front of the room carrying a basket full of laundry. "Hello! I had such a busy weekend, we were cleaning out closets and drawers and I have all these clothes that I need to sort through. Would you be willing to help me sort it out later? I found one particular shirt that I love and I really want to wear it for you today." Pull out this shirt and put it on over your clothing. Purchase a pack of basic white boys' undershirts (cheap at Walmart) and add text with iron-on transfer sheets. Last week we talked all about this - My body is a Temple. We talked about how we need to take good care of our bodies by keeping it clean, eating healthy foods, exercising, getting enough sleep, and treating our bodies well because they are a gift from Heavenly Father. When I read this scripture I sometimes picture Heavenly Father grabbing us by the shoulders and saying, "Don't you know that you are the temple of God? Don't you know how special you are?" Your body is a temple of God. And when you know that your body is a temple you are going to treat it differently. One of the ways we treat our bodies like temples is by dressing modestly. My Gospel Standards says, "I will dress modestly to show respect for Heavenly Father. Review questions (to make sure they were listening!) Print these phrases, post on the board, and fill in the blanks. _________ have told us to dress modestly. The way you dress influences the way _____ & ______ act. Laundry basket activity: The basket is full of t-shirts with the following labels. Call a child up to choose one shirt. Show it to the group, read the label out loud and ask, "should we keep it or throw it away?" The kids will giggle at some of the labels so emphasize the ones that are kind of funny like, "I'm just sloppy". Throw the unwanted t-shirts into the garbage or across the room into the corner. If the t-shirt is a keeper, let the child wear it over their clothing to display for the rest of the Primary. Most of the decisions can be made pretty quickly - the kids know the standards well. Others you might want to take more time to explain. Again, teach that part of modesty is wearing clothes that are neat & clean. Clothes that are intentionally torn or have holes to fit in with a style are probably not the best. // Also, the messages that we communicate with our clothes (literally) are important. Make sure if there are words on your shirt they are respectful -- not rude or offensive. In the laundry basket there was another shirt with the "My Body is a Temple" label. When it was chosen we sang, "The Lord Gave Me A Temple"
Make copies of the following handout - "I will dress modestly by . . . ". Distribute these to the children with crayons and invite them to draw a picture of themselves dressed modestly, or write down what they are going to do to dress modestly. As time allows, invite children to share their pictures & ideas. Or you may post the drawings on the chalkboard or around the room. Restate the lesson title - Dressing modestly shows respect for Heavenly Father and myself - and close with your testimony. Hope this is helpful to anyone who needs to teach on this subject. I thought it went really well! One of my junior primary boys came to me after class and asked if he could keep one of the t-shirts. He made sure to specify that he wanted one of the "good ones." Sure! And he gave me the biggest hug. I love it when I can connect with the Primary kids and see these gospel lessons sinking it. That is simply the best! We had a wonderful day at church. Glad to be back in our congregation after a couple weeks on the road. The topics and messages touched me today and I just left with an overall feeling of wanting to do better, and strive to follow my Savior and be more like him. To take to heart the Savior's words "Come, follow me." The children sang Come, Follow Me in Primary and their voices were just so sweet. The music leader lead a discussion about what the words meant and my heart was reminded of how simple this invitation is. These kids want to follow Jesus. I want to follow Him. He has prepared the way, he has set the example, "then let us in his footsteps tread." Scott and Conner visited one of their home teaching families. They have the cutest kids. I registered Conner for seminary in the fall. !!! German pancakes and blueberries are on the menu for dinner. Payton turned 12 in February which meant he was now old enough to receive the Aaronic Priesthood. There are a few other milestones, privileges, experiences that come along with turning 12 in our church and he got to experience two big ones this week. NUMBER ONE. On Wednesday the youth of our ward went on a temple trip to the nearby Las Vegas temple to perform baptisms for the dead. Info here. At Family Home Evening a few days before we discussed what it would be like and answered all of Payton's questions. We explained what a blessing it is that we can perform this temple work, as proxy, for those who have passed on who didn't have the chance to hear or accept the gospel in this life. The choice is still theirs but the path has been opened up for them. Scott also went along as a leader and ended up doing all of the baptisms for the youth in our ward. Everyone got to do 5-10 names but there was still a stack of about 30 male names when they reached the last boy. Who happened to be Payton. So . . . . you can guess what happened next. :) Not getting out easy for his time! I tried to snap a couple photos of the boys before they left and this one was the best of the bunch. Love it. NUMBER TWO. Today, Payton gave his first talk in sacrament meeting. Now, speaking for 4-5 minutes in front of a congregation of 300 people this is definitely a step up from the 2 minute talks in Primary. We came home and made a video recording to share with anyone interested. Payton's Talk from Shannon on Vimeo. He did a FANTASTIC job. He was well prepared. He spoke clearly. And he delivered a great message. NUMBER THREE. One more milestone. As Payton referenced in his talk, last month he got to attend the Priesthood Session of General Conference for the first time. And Scott made a special occasion out of it by taking him to Salt Lake City and attending the conference session in person! You'll have to watch the video to hear his perspective of the experience. I'm so glad my kids - and the youth in the church in general - have these wonderful experiences and responsibilities that push them to learn the gospel, live it, and serve others. In a world where the focus of many kids is on what is fun, entertaining, & easy I am thankful that my kids have opportunities to stretch themselves, think of others, discover & strengthen their values & the core of who they are, set life goals, and take steps to achieve those goals. I am so proud of the person that Payton is becoming. Pancake training began for Conner today. Scott was going to make pancakes and Conner asked if he could learn. With hesitation he conceded the spatula to the boy with plenty of wise cracks at every move. We are not one of those families that is all love & rainbows & positivity, and "great job you deserve a medal!" with every mediocre attempt. You gotta have a sense of humor and the ability to let the criticism roll off your back & laugh at your failures. Because that's what the rest of us are doing. Luckily our kids do well in that department! It was a bit of a crazy, whirlwind weekend that began Friday night with a State PTA Reflections award ceremony for Anna (more on that later). Then Saturday included a middle school Krypto competition for the boys, Anna had a temple field trip with her Activity Days group, a soccer game in the afternoon, and then Scott and I were back at the temple for Ward Temple Night and dinner. Today we went to church, came home for a quick lunch/dinner of pancakes, and then made our way to the Smith Center for a performance by the Zion's Youth Symphony and Chorus. It was pretty great with solid performances by the choir, symphony, and soloists. What an awesome group of talented high school kids from the valley. And the Smith Center is just an amazing venue so any opportunity to go there is a real treat! Here's a link to a little VIDEO about the choir. And Anna painted a unicorn. This has long been a favorite quote of mine and has just stuck in my brain for many years. I believe that we can pray to a loving Heavenly Father, he hears our prayers, and he will answer them. I know that those answers come in many ways and on the Lord's timetable so we have to be prepared, still, and sensitive to the spirit so that we can receive them. There have been several moments in my life when I have received extremely clear and distinct answers to prayers and I forever cherish the feelings of those moments. Feelings of love, peace, certainty, even surprise (hey, I wasn't expecting that! ), knowing that He is completely aware of me, and that there is a purpose/plan/reason for everything. Thinking of these moments makes me realize what an incredible gift personal revelation is. I want to strive all the more to be worthy of it! The scientific mind in me would LOVE to have a formula for achieving answers every single time -- read this many scriptures, pray for this much time, complete X number of service acts, attend the temple so many times, etc. . . . But I know that is not the case (darn it!) and so often times we get to do all those things and wait. And wait. And have faith that the answers will come. Because they will. Sometimes the answers come all at once. And sometimes the answers come in tiny bits and pieces at a time. You want to see the big picture, but you only get to see as far as 6 inches in front of your face. Which is hand-wringing torture for a planner like me. But it is also a wonderful blessing, and comfort because those little bits are a reminder that He is in control. So going back to my original quote, the ability to qualify for, receive, and act upon personal revelation is a skill that I want to develop. And I'm sure I will spend my entire life working on that skill! But anything of value requires work, right? Along that note, I have loved reading the blog series over at The Small Seed called "Finding Answers". It is a series of interviews of individuals from all walks of life with varying struggles who have found answers. Anytime I hear personal stories of individuals who have received answers to prayer - at church, in the scriptures, talking with friends -- I feel inspired, uplifted, and encouraged to continue in their example.